A writ petition challenging the legality of hoisting national flags of foreign nations across the country during the FIFA World Cup has been rejected on Tuesday. A High Court bench comprising of Justice Md Nazrul Islam Talukder and Justice Shahidul Karim passed the order. 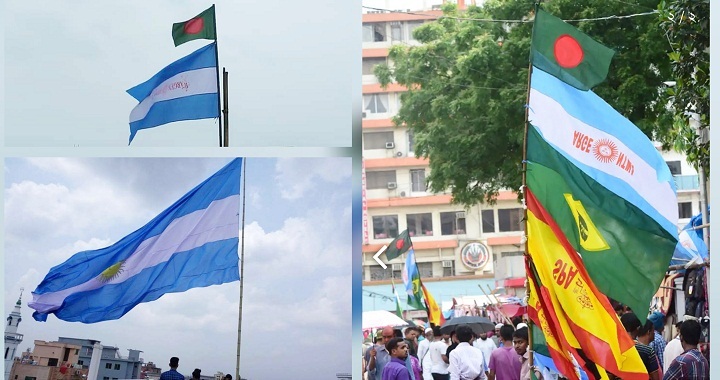 Earlier on June 4, Mohammad Nurul Amin, a freedom fighter from Gaibandha, filed the writ petition with the HC, seeking its directive on the government to stop people from hoisting national flags of foreign countries. On May 28, another HC bench refused to hold a hearing on the same writ petition which was filed on May 27. The bench also dropped the petition from its hearing list.